I am usually a fan of winter, but I have to admit that I am ready for spring this year. I blame Mother Nature entirely – she has teased me with great temperatures over the last week, and the convenience of not having to dress in triple layers from head to toe before leaving the house is not lost on me. However, winter has returned with a vengeance, so I will have to settle for a bit of spring on paper! It’s challenge time over at the Tiddly Inks blog today, and we have a fun one planned – TINGO! The goal is to choose any row from the Tingo board, making sure to run through the middle and include a Tiddly Inks stamp. For mycard, I decided to use one of Christy’s new images called Wryn – Berry Sweet together with flowers and buttons. Now I know that there aren’t any actual buttons on the card itself, but I used that component as an inspiration for the sentiment. That’s what I love about TINGO- there are some parameters to play with, but there is still room for all sorts of creativity. 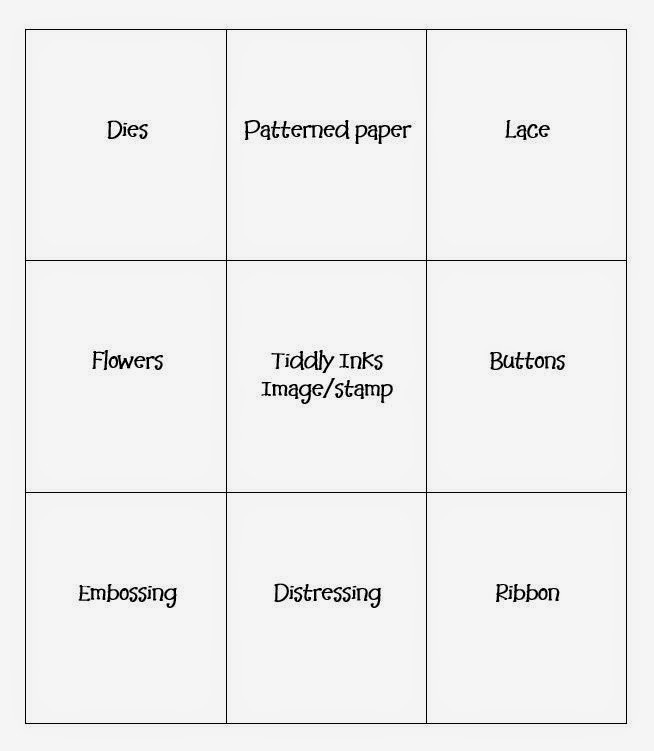 Maybe you have button-patterned paper, or maybe the flowers are in the image. Or maybe you will be like some of the DT and try to use all of the elements from the board. In any case, we hope it is an inspiration to get crafty! So, go check out the Tiddly Inks blog for more fun ideas, and have an awesome Tuesday! Thanks for stopping by! This entry was posted in Cards, Tiddly Inks and tagged challenge, tiddlyinks by Scrappy Canuck. Bookmark the permalink. Wowww… I’m loving this one Karen… your style really appeals to me – such bright colours and your fabbie handwritten sentiments! I just found your tutorial on how to do these too… so I’m definitely going to give it a go! So cute!!!! You always do an amzing job!!! I was brave and took inspiration from your hand written sentiments!!! For my first try, not so bad!!!! Thanks for always inspiring me!!! Love how you used the word button instead of actual buttons! Lovely card!